Plex Media Server, the beloved DLNA software for home media servers is finally on the Banana Pi without a chroot. There was a guide referenced which showed you how to install the Plex Media Server package from the Drobo NAS Server in a chroot jail on the Banana Pi. This was great except it caused various issues because of mapping folders between the host system and the jail. There were also problems with metadata not showing up. I can confirm that metadata is indeed working now when using this guide and streams mp4, divx and xvid content locally just fine when you use a DLNA client like Plex Home Theater. Transcoding is another story and will require some testing for your media collection. I used the latest fresh Bananian image and also tested Igor’s image with good results. 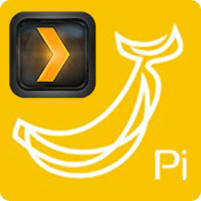 Many thanks go to uglymagoo on the Plex forum for identifying the right PMS package to work with our Banana Pi. This package will also work on the Banana Pi Pro and CubieBoard Cubietruck series. I have supplied an image at the bottom of this post. Here is a quick rundown of the specs of the Banana Pi vs the Raspberry Pi models, see benchmarks as well, the SATA is really a great addition to your low powered home media server. Enable https transport or you will get this error: E: The method driver /usr/lib/apt/methods/https could not be found. If the output says 2.13 use wheezy, if it says 2.19 use jessie instead of wheezy below for uglymagoo’s repo. 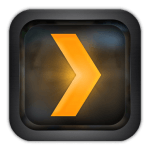 There is a guide to install the Plex UnSupported AppStore and fixing video transcoding if it’s not working in the Plex Web Client. Please use free Dynamic DNS to access Plex remotely. In this method you grab the latest precompiled Plex package from uglymagoo and install it, it is super fast and easy. 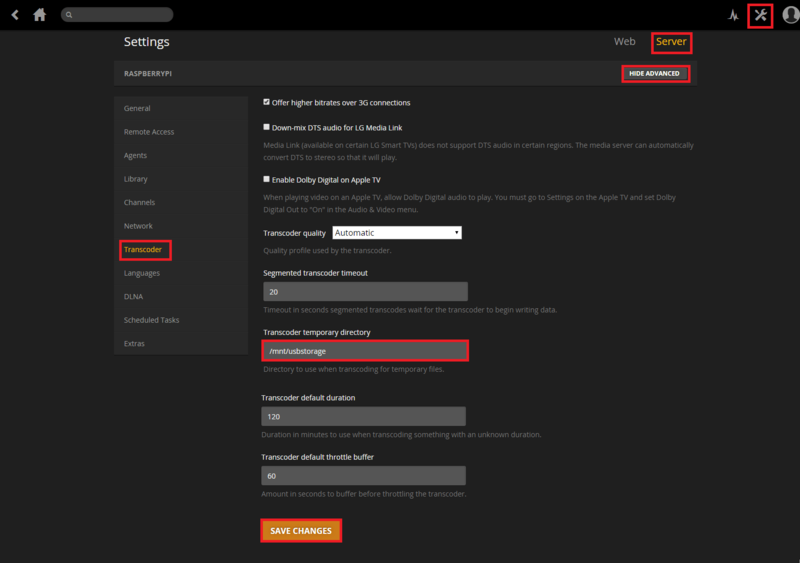 Plex will autostart on boot and you can now configure Plex. 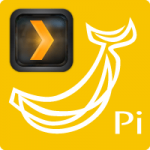 With this method you are going to grab the latest Plex ARMv7 Synology package and turn into a deb package you can install on your Banana Pi or Banana Pi Pro. 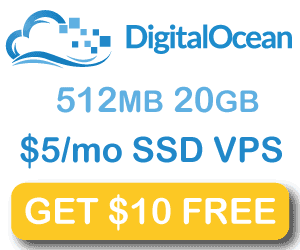 This method will upgrade previous installations used for installation methods 1 and 2 in this post. Rename the Synology Plex package, replace the filename here with the filename of the newest package you just downloaded. Install the transcoding tools at the bottom of this post if you plan to transcode. The following section is only necessary if the above methods does not work. Now run Plex for the first time! Browse to http://ip.address:32400/web and Plex should pop up! #                    Many thanks to the great PlexApp team for their wonderfull job ! echo -n "Starting Plex Media Server: "
echo "Plex Media Server is not running (no process found)..."
echo -n "Killing Plex Media Server: "
echo "Plex Media Server process running." echo "It seems that Plex Media Server isn't running (no process found)." Reboot and you are all ready to start adding media to Plex and stream it around your home! Plex Media Server requires a new libc6 module that you can pull from the jessie repo (thanks again to uglymagoo). It will enable XviD, DivX and MKV playback in the Plex web interface and in the Plex app. Now grab the package, extract the libc6 file and place it in the PMS folder. You should set Plex to use your external hard drive for temporary transcoding data after you have mounted your drives properly. Click the settings icon in the top right, Click Server and then Transcoder in the left pane. Make sure SHOW ADVANCED is enabled underneath Server. If Plex isn’t reading your drives you can do one of two things, change the permissions of your external storage (less secure) or change the user Plex is running as (which could mean you need to rescan for metadata). Then change the permissions where /mnt/usbstorage is your mount path for your hard drive so your regular group has execute permissions (second 7) which will include the Plex user. I may create a Banana Pi cluster to see if it is a viable solution for heavy transcoding outside your home network. Here is the Banana Pi Media Server Image, share to reveal the link, it includes the Media Server Installer as well.